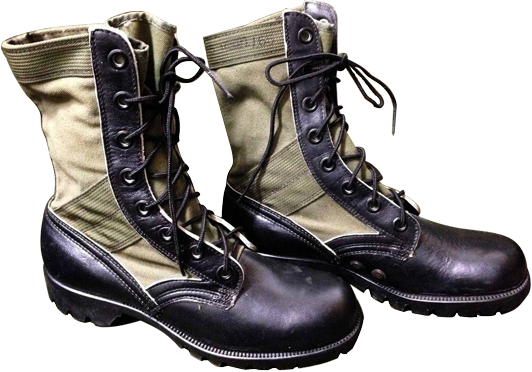 one of the major contractors of the U.S. Ministry of Defense (U.S. MoD), which produced about 5 thousand pairs of "jungle" boots per day in the mid of 1960s. 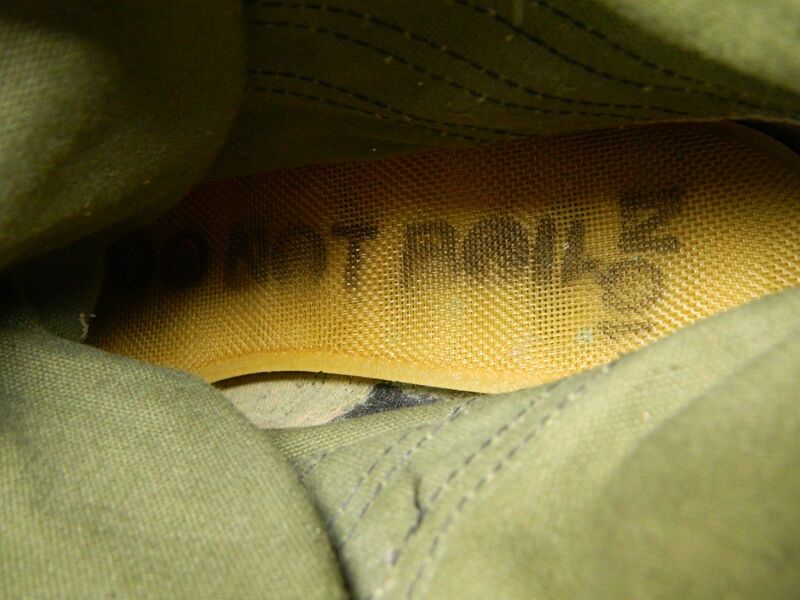 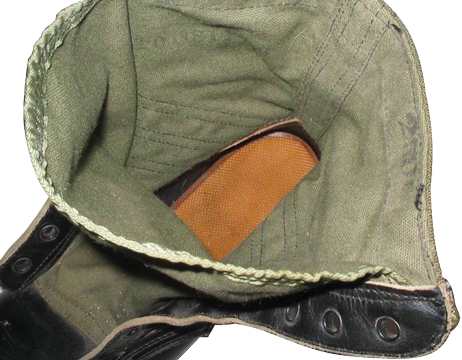 As the Direct Molded Sole was part of the "jungle" boots design, this technology was licensed to multiple other U.S. MoD contractors for additional production, because there was urgent need in mass production of these boots for American troops in Vietnam. 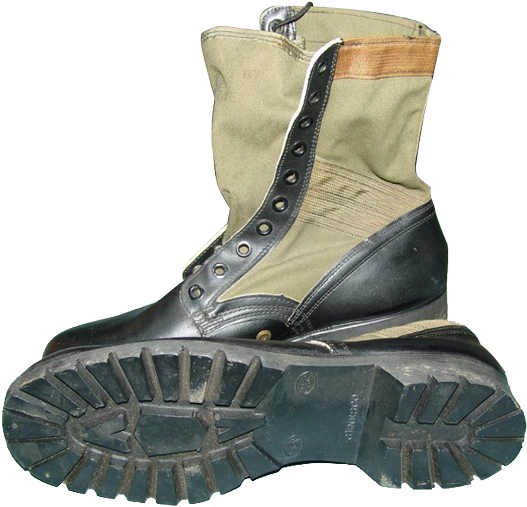 These boots were intended to be used with removable ventilating "SARAN®" insoles made of fused layers of PVDC (Polyvinylidene chloride) plastic mesh screen, first invented back in the year 1942. 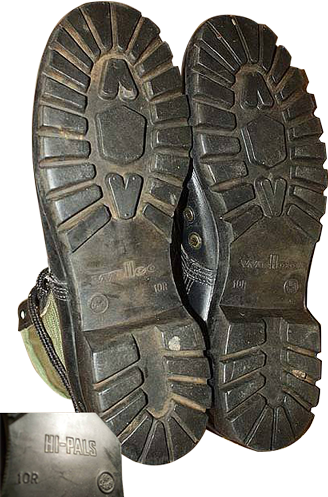 These boots also featured built-in double screened eyelets at the inside shank of each boot. 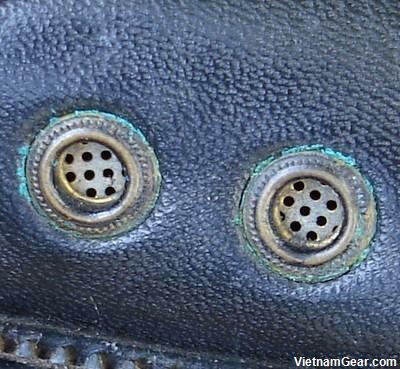 These brass drainage eyelets were intended to allow water to drain out and to permit air to reach the feet inside the boots. 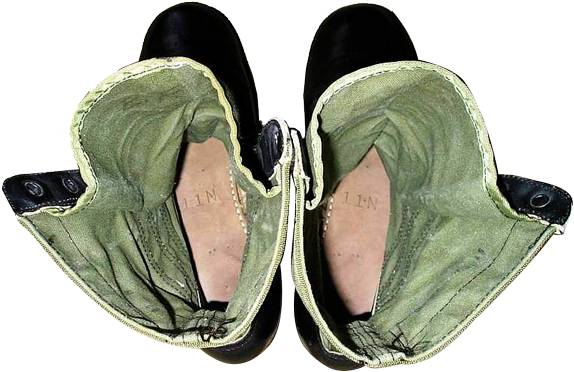 The early version "jungle" boots with DMS featured sunken ventilation and water drain ports (Figure 1), because these first type boots were supplied with removable rubber plugs, which could be used to prevent ingress of outside water into the boots, in case of need. 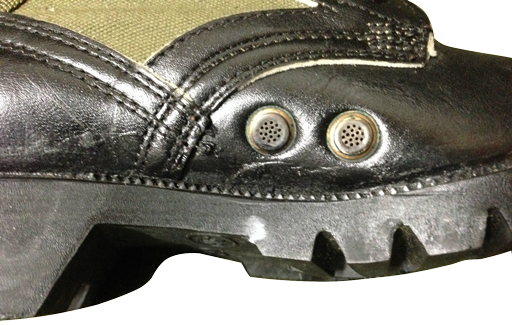 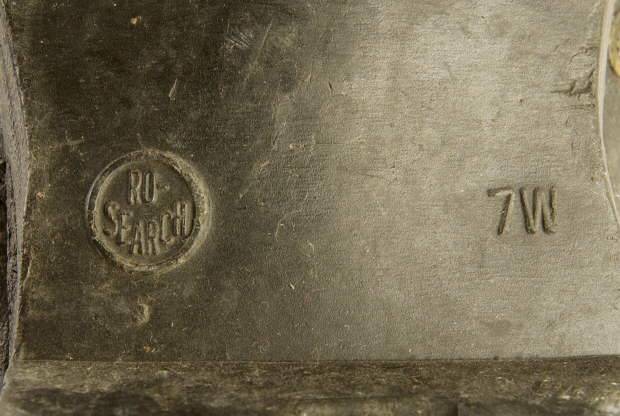 This feature proved to be impractical, so next versions of "jungle" boots lacked these rubber taps, and the form of brass drainage and ventilation eyelets was simplified. 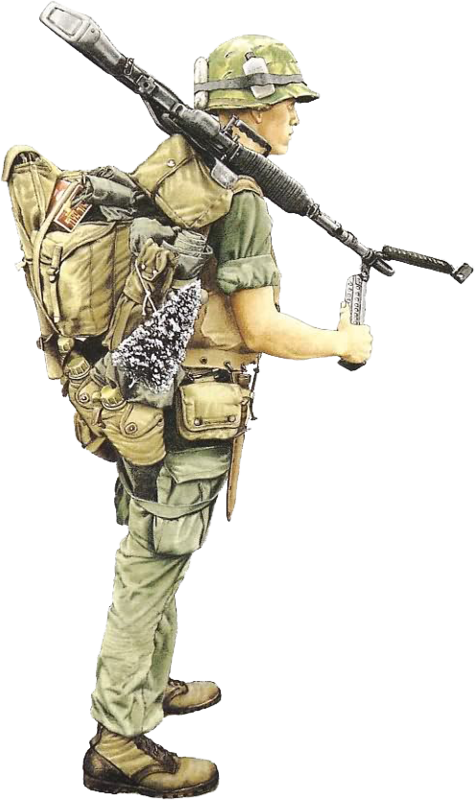 The need for protection from Viet Minh and Viet Cong traps containing "Punji" sticks (sharpened bamboo sticks two or three feet high and often dipped in dung to infect the tip, stuck into the ground at an angle so as to puncture the foot of an enemy soldier) was first recognized by the French colonial troops during the First Indochina war (1946-1954). 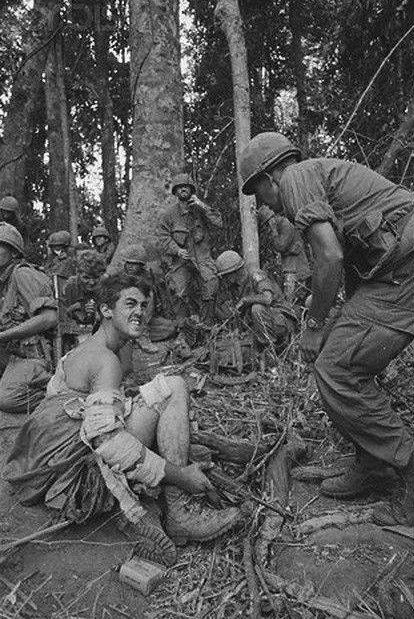 This fact was rediscovered by American forces in the early 1960s, as the Vietnamese guerrillas still used to set their favorite time-proven "Punji" stake traps, that caused multiple foot injuries to U.S. forces. 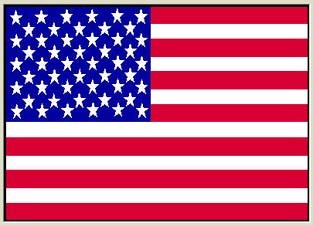 Punji tilt boards can fly up out of nowhere at a victim's face and chest.